B.I.D.I. Box is the perfect monthly subscription. Items would include monogram merchandise from shirts, hats, jewelry, wallets, etc. 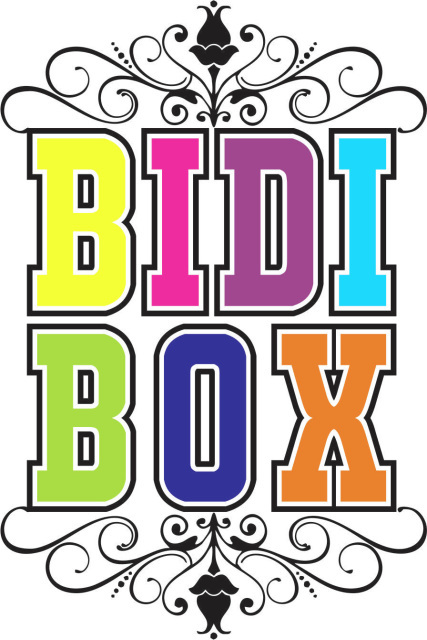 The BIDI Box is a great way to treat yourself. You are sure to love all the products that we have put together. Each box will be personalized for your style, color, and preferences. Still have questions, email us and we will answer any questions you may have. Monthly subscription that includes all your favorite products. After you subscribe to your first month, we will email you a short questionnaire. These questions are all about you and will make sure we personalize your box with all your favorite things. Your B.I.D.I. Box will be billed on the first day of each month. If you sign up in the middle of the month, your subscription will start on the first day of the following month. (i.e. If you sign up on March 10th, your first month will be billed on March 10th; however your subscription doesn't start until April 1st. Your second payment will not be drafted until May 1st.) You must sign up by the 25th of the month in order to be included in the following months B.I.D.I. Box. If you would like a B.I.D.I. Box, but don't want to do a monthly subscription, not a problem. You can manually pick and choose which months you would like a box. Just let us know that you will manually control your subscription rather than have your card drafted. If you are not satisfied or just change your mind, you can cancel at anytime. There is no long term commitment.